Night in Saigon 14: Don’t You Forget About Me was held on Saturday, January 13, 2018, at Tate Grand Hall. They were approximately 100 volunteers and performers, and 950 total attendees (including sponsors and esteemed guests). As one of the largest culture shows in the Southeast region, Night in Saigon attracts people from not only Athens and Atlanta, but from across the continent. Night in Saigon 14 had the pleasure of hosting members of UVSASE, UNAVSA, and other neighboring regions. Through skits, dances, songs, and more, Night in Saigon is a Vietnamese culture show dedicated to promoting the Vietnamese culture and heritage to the audience. Our goals are not only to educate those who are interested in learning more of the culture, but to raise awareness of the ever-changing Vietnamese-American identity among the audience members. Our objectives are to preserve and promote Vietnamese culture, identify and address issues impacting the Vietnamese community, provide opportunities for local businesses to promote their products and services to the Vietnamese-American community of Athens, raise funds to support our UNAVSA’s CPP, bring together Vietnamese youth, and provide them with opportunities for leadership development and community service. Due to limited resources provided by UGA, we had to fundraise through the Vietnamese American community and UGA campus community as well as gather a lot of sponsors. Fundraising wise, we focused on voter registration by winning a phone banking contest and being the most politically involved VSA around the time of the presidential election. In sponsorships, we reached out to local Vietnamese businesses as well as Athens businesses and were able to gather over $11,000 in sponsorship money. Our marketing techniques involved a large social media presence with Facebook profile picture frames, a consistently updated Facebook event page, and promotional videos. We also posted flyers around campus and local restaurants as well as had our members paint an advertisement on the street. Evaluations and decisions were made on a voting system amongst directors and executive board members. Afterwards, we released an evaluation form to the public and held an EBoard meeting to discuss pros and deltas. Campus-wise, Night in Saigon 14 provided students with a perspective on the Vietnamese American lifestyle and the struggles arising within this population. Under International Student Life, the Vietnamese Student Association serves to support inclusivity and diversity on campus. Night in Saigon 14 garners attendance from students from all organizations on campus. Community-wise, Night in Saigon unites the entire Southeast once a year and is the ONLY culture show in the Southeast to garner attendance from ALL VSAs in our region. We have attendees from not only UGA, but Clayton State, KSU, Georgia Tech, Emory, GSU, FSU, UF, USF, UWF, UCF, Memphis, UNCC, UNCG, USC, Mercer, Auburn, etc. This year, we even had members of UNAVSA and neighboring regions attend. The show also has a large number of parents in attendance as well as adults involved in both of the Vietnamese American Communities in Georgia. Through our performances, we were able to showcase the talents of VSA members through dance, singing, magic, spoken word, etc. 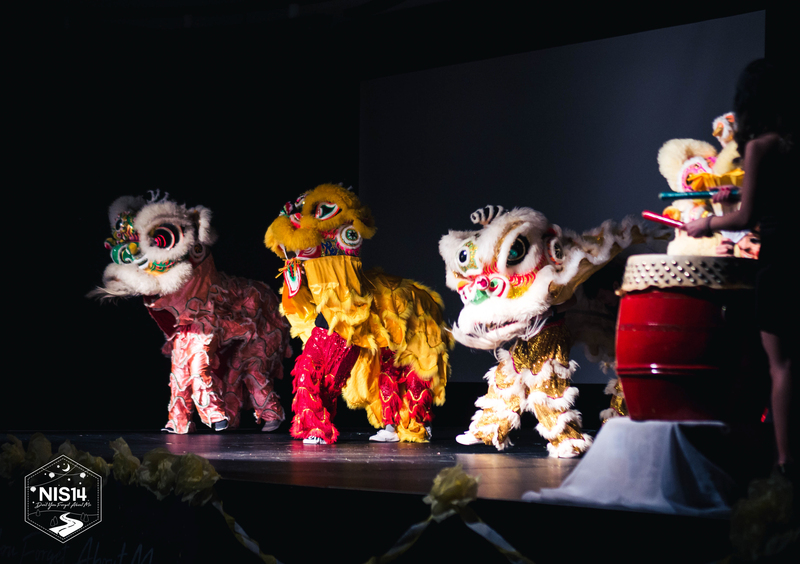 Our traditional dance, lion dance, and fashion show demonstrated the beauty of the Vietnamese culture. Every year, Night in Saigon features a different theme that shapes the direction of our show and the message we wish to convey to the audience. 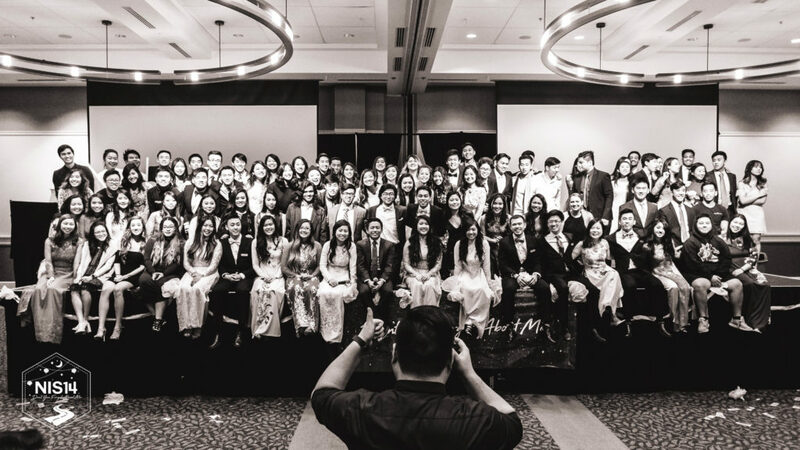 This year’s theme is “Don’t You Forget About Me,” or ” Xin Đừng Quên Tôi.” We wished to convey that being Vietnamese should not define who you are, but it is important for the culture to be a part of you. While we want people to value the culture, we do not want them to forget about themselves and who they are as individuals. Walking away from the show, we hope audience members are inspired to find who they are as individuals while also discovering the role their roots play in their lives. Financially, we exceeded both fundraising and sponsorship goals we set for ourselves. We surpassed our fundraising goal of $1600 ending up with nearly $2000 in fundraised money. In sponsorship money, we raised $11,400 which is significantly more than the goal of $8500. We ended up with a profit of nearly $10,000, approximately $4000 more than the year before, and the majority of that money ($6000) will go toward the Pacific Links Foundation, allowing us to fulfill our philanthropic goal and pay expenses for the rest of the events we had planned out for the 2017-2018 school year. Our overall goal was to increase cultural awareness by storytelling through a written skit, traditional dances with fans and other objects from the motherland and also to teach event planning and character development. As an organization, we have overcome obstacles both internally and externally during the planning process. Internally, we have experienced disagreements between board members that resulted in a need for practicing conflict resolution. We had to use everything we’ve learned through multiple leadership conferences to understand one another and come to a point where we could not only work together, but be friends with each other. These internal conflicts tested our communication skills and professional behavior, but we came out of it stronger than ever. Externally, we were approached with the news of our would-be Night in Saigon headliner facing sexual misconduct allegations. In order to extract ourselves from his reputation, we had to make the decision to cancel his act even if it meant facing legal problems because we felt we could not bring someone to our event that did not align with our values. During the show, we did face the issue of starting behind schedule as we still had a long line at the check-in table when the show was supposed to start. We overcame this by making sure our stage crew knew to make transitions go smoothly and to limit any further delays.